Edited by Karen Marta. Text by Philip Tinari, Jeffrey Deitch, Christina Yu Yu, Liu Housheng, Christopher R. Leighton, Shan Yuejin, Philippe Garner, Michael Chow. Preface by May Xue, Gong Yan. Text by Donatien Grau, James Lawrence. Interview by Jeffrey Deitch. Edited with introduction by Meredith Mowder. Text by Klaus Biesenbach, Gavin Brown, Jeffrey Deitch, Warren Fischer, Casey Spooner. Text by Clara Astiasarán, Janet Batet, Michael Betancourt, Jeffrey Deitch. Text by Jeffrey Deitch. Designed and edited by Urs Fischer with Cassandra MacLeod. Edited by Jeffrey Deitch and Kathy Grayson. Essays by Cory Arcangel, Jeffrey Deitch, Philip Guichard and Lawrence Rinder. By Magnus Resch. Foreword by Jeffrey Deitch. Foreword by Larry Warsh. Text by Henry Geldzahler, Jeffrey Deitch, Carlo McCormick. Edited by Lawrence Rinder, Dena Beard. Text by Alex Baker, Natasha Boas, Germano Celant, Jeffrey Deitch. Text by Lisa Phillips, Massimiliano Gioni. Conversation with Jeff Koons. Introduction by Jeffrey Deitch. Interviews with Fred "Fab 5 Freddy" Brathwaite, Arto Lindsay, Annina Nosei, Diego Cortez, Glenn O'Brien, Text by Suzanne Mallouk, Gerard Basquiat, Michael Holman. Chronology by Franklin Sirmans. Edited by Jeffrey Deitch. Essays by Dan Cameron, Alison Gingeras, Massimiliano Gioni and Nancy Spector. Introduction by Dakis Joannou. Edited by Aaron Rose and Christian Strike. Essays by Alex Baker, Thom Collins, Jeffrey Deitch, Rene deGuzman, Carlo McCormick and Jocko Weyland. Edited by Jeffrey Deitch. Contributions by Stuart Morgan. British architect David Adjaye founded Adjaye Associates in 2000. His projects range in scale from private houses to civic buildings throughout Europe, North America, the Middle East, Asia and Africa. Jeffrey Deitch is an American expert in modern and contemporary art and an advisor to private and institutional art collectors. He is also an art writer and exhibition organizer. Massimiliano Gioni, Italian art critic and curator, is the director of the Fondazione Nicola Trussardi, as well as the Artistic Director of the New Museum in New York. Brendan Dugan is the owner of Karma, a bookstore, exhibition space and publishing venture active in NY since. Hardcover, 10 x 12 in. / 412 pgs / 350 color. What makes an art gallery successful? How do galleries get their marketing right? Which customer group is the most attractive? 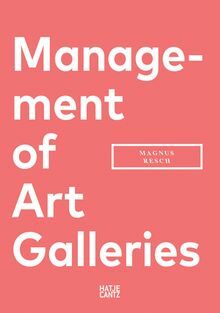 In a unique research undertaking, Magnus Resch carefully analyzes the inner life of art galleries. Examples and case studies from leading galleries around the world give an insight into the art scene. The author's broad experience as a former gallery owner and founder of the world's leading art collector database Larry's List, together with his PhD on the art market, lend the volume persuasive power and authenticity. Magnus Resch is an entrepreneur and lectures in cultural entrepreneurship at Europe's leading business school, the University of St. Gallen, Switzerland. He studied economics at Harvard University and the London School of Economics. Articles on him have appeared in The New York Times, Forbes, Bloomberg and the Financial Times. Paperback, 6 x 8.25 in. / 140 pgs. Published by Ullens Center for Contemporary Art. Michael Chow, born Zhou Yinghua in Shanghai in 1939, was abruptly uprooted to England at the age of 13, where he lost his family and name. 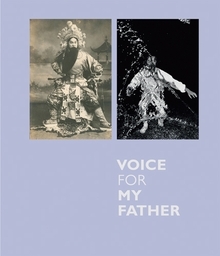 Voice for My Father illuminates Chow's long journey, celebrating both father--Beijing opera star Zhou Xinfang--and son, the artist and legendary restaurateur, who has recently made a triumphant return to painting. Their stories are told through rare archival images and personal portraits by such artists as Jean-Michel Basquiat, Urs Fischer, Julian Schnabel and Andy Warhol. Published on the occasion of Chow's first exhibition in China, held at the Ullens Center for Contemporary Art, Beijing, and the Power Station of Art, Shanghai, on the 120th anniversary of his father's birth, this book affords a close look at Chow's artistic practice and persona. Hardcover, 9 x 10.5 in. / 354 pgs / 128 color / 89 bw. Founded by artists Warren Fischer and Casey Spooner in 1998, Fischerspooner began as a philosophical provocation that sought to explore the expressive potential located in the gap between popular entertainment and art. Soon swelling from a duo to an army of dancers, stylists, photographers and musicians, the group has activated a variety of spaces such as traditional concert halls, nightclubs, construction sites, parades, art galleries and museums. Their Brechtian theatrics lay bare the potential honesty of spectacle and device by not only revealing their inner workings but also celebrating them. 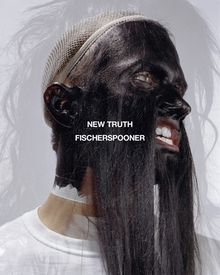 Fischerspooner ultimately proposes that artifice and surface can be recombined to create a new concept of authenticity--a “new truth.” This kaleidoscopic monograph provides unprecedented insight into the first five years of the Fischerspooner project. From a debut performance in a New York City Starbucks, to a blitz of the international art world, to more mainstream visibility via a major label recording contract, New Truth chronicles Fischerspooner’s quest to profoundly upend the boundaries of art, music and performance. Invested in liminal spaces and the in-between, Fischerspooner also captures a unique millennial moment that seemed to prophesy a future where the avant-garde could be translated into a vernacular of pure joy. Warren Fischer and Casey Spooner met at the School of the Art Institute of Chicago and formed Fischerspooner in New York in 1998. As an art pop performance project, Fischerspooner’s practice involves music, dance, fashion, film and photography. They have released three full-length music albums, #1 (2001), Odyssey (2005) and Entertainment (2009). Hardcover, 9.75 x 12 in. / 336 pgs / illustrated throughout. Published by Pearl Lam Galleries. 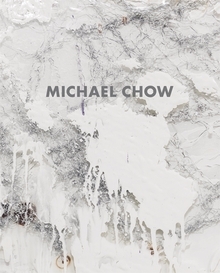 Michael Chow was born Zhou Yinghua in Shanghai, China, in 1939. At the age of 13 he was abruptly uprooted to England, where he where he lost everything familiar to him; his family, culture and even his name. He studied art, subsequently working as a painter for ten years before deciding to take a break and open his first restaurant, Mr Chow, in Knightsbridge, London, in 1968. The restaurant became an international success, spawning locations around the world, and Chow also thrived in the realm of interior design, from specialty boutiques for Giorgio Armani to his own restaurants and his home in Los Angeles. Chow has continued to be involved in all walks of creativity from architecture and theater to film. After a 50-year sabbatical, in 2012, encouraged by Jeffrey Deitch, Chow picked up the brush again and returned to his true passion. This volume documents his return to painting. Hardcover, 10 x 12 in. / 148 pgs / 103 color / DVD (multi-region). Andy Warhol (1928-1987) flew to Beijing (via Hong Kong) in 1982, recording his impressions in brief journal entries while also photographing with his typical fanatical diligence. He encountered a capital virtually untainted by advertising and commerce, but nonetheless on the verge of an enormous transition. Following Mao's death in 1976, an art scene was slowly beginning to emerge in China. Under Mao, art had been deployed mainly as a propaganda tool to communicate government propaganda. By the time of Warhol's visit, new artistic strategies had established themselves. The Political Pop movement, Gaudy Art and "The Stars," a group of younger artists to which Ai Weiwei belonged, were all greatly influenced by Warhol and other protagonists of Pop. For this group, Warhol's classic silkscreen print "Mao" (1972) served as a critical point of departure for their artistic reevaluation of the iconography of communism. 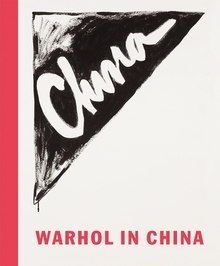 Warhol's presence in China electrified Beijing's avant-garde, and his photographs record both his own delight in encountering the city's artists (as well as other sights--he was much impressed by the Great Wall) and their delight in him. These photographs consequently possess both artistic and documentary merit. Clth, 10.5 x 12.25 in. / 312 pgs / 30 color / 250 duotone. Published by Damiani/Standard Press/Paul Kasmin Gallery. 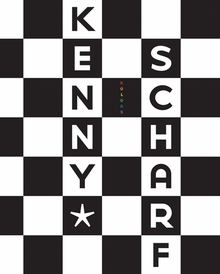 Published on the occasion of Kenny Scharf’s (born 1958) exhibition Kolors at the Paul Kasmin Gallery in New York, this publication presents the artist’s new body of Pop-Surrealist work, which includes monochrome paintings and large-scale sculptures. An in-depth photo essay explores Scharf’s world, while Jeffrey Deitch’s text provides an insider’s view of the artist’s influence in contemporary art. Scharf’s use of airbrush-like oil and acrylic paint embodies the presence of street culture within contemporary art that he helped establish. In his sculptures, Scharf makes use of his iconic imagery, freezing expressive cartoon-like faces in curvilinear three-dimensional reflective forms. Scharf presents larger-than-life versions of three seminal characters from his pantheon of cartoon-like creatures. Two sculptures, “Squirt” and “Red Scary Guy,” embody (respectively) happiness and anger, whereas the “Totem” towers 12 feet to the ceiling, stacking characters that showcase the range and interconnectedness of human emotions. Hardcover, 8.5 x 10.5 in. / 96 pgs / illustrated throughout. Edited by Aaron Rose. Text by Jeffrey Deitch, Michael Mann. Hardcover, 9.5 x 12.5 in. / 160 pgs / illustrated throughout. 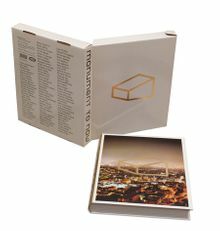 Published by Art Issue Editions. Over a five year period, in one of the most epic conquests of civic space ever ventured, Keith Haring (1958–1990) produced a massive body of work across the New York City subway system that remains to this day, some 30 years after the fact, daunting in its scale and its impact upon public consciousness. Dedicated both the people who might randomly encounter them and to the present tense to which their momentary existence was tethered, Haring’s drawings now exist solely in the posterity of myth. Because they were not meant to last, briefly inhabiting blacked-out advertising boards before being covered up by commerce or torn down by authorities and admirers alike, what little remains of this project is oddly (for this most populist of artists) fugitive. 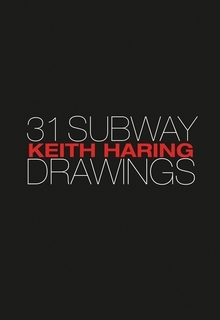 31 Subway Drawings reproduces all archival materials relating to this magnificent project. Hardcover, 9.5 x 13.5 in. / 64 pgs / 40 color / 7 bw. This volume compiles all of the photographs from Terry Richardson’s wildly successful 2012 show Terrywood, held at the OHWOW gallery in Los Angeles. 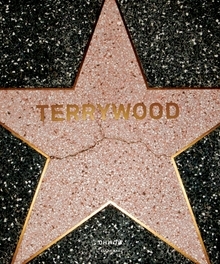 Terrywood is the photographer’s vision of everything that Hollywood has meant and continues to mean in the public imagination: grand-scale glitz, big-budget glamour—and of course the awards ceremonies, in homage to which Richardson produced a series of ten award statuettes for the show, fashioned in his own bespectacled likeness. These works and all of the photographs included in the exhibition are reproduced here, alongside documentation of the year-long process of planning the exhibition, and coverage of the opening night, which was attended by celebrities such as Tom Ford, James Franco, Odd Future, Sasha Grey, Paris Hilton, Paz de la Huerta, Jared Leto, Lindsay Lohan and Frank Ocean, and which has already become legendary as one of the glitziest opening nights in recent memory. Terrywood also includes texts by Jeffrey Deitch and Al Moran. Born in New York City and raised in Hollywood, Terry Richardson took up photography while attending Hollywood High School and playing in a punk rock band. His work has been the subject of numerous group and solo shows throughout the world, and he has published several monographs, beginning with Hysteric Glamour in 1998, followed by the print retrospective Terryworld and most recently, Lady Gaga x Terry Richardson. Hardcover, 10 x 12 in. / 228 pgs / illustrated throughout. Published by D.A.P./University of California, Berkeley Art Museum and Pacific Film Archive. 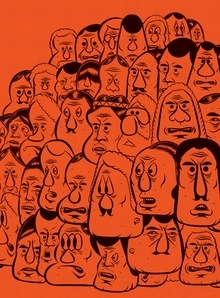 Published on the occasion of the first major survey of Barry McGee’s work, this monumental volume records more than two decades of incredible fecundity, over the course of which McGee has pioneered a new iconography of sharp street vitality and graphic snap. McGee began as a graffiti artist on the streets of San Francisco, working under such tags as Ray Fong, Twist and Twisto, and his work since then has hugely expanded the terms of both street art and contemporary art. The freshness of McGee’s work stems in part from his virtuoso handling and consolidation of a whole panoply of influences, from hobo art, sign painting and graffiti to comics, Beat literature and much else. His extraordinary skill as a draughtsman is energized by his insistence on pushing at the parameters of art--his work can be shockingly informal in the gallery and surprisingly elegant on the street--and by his keen nose for social malaise. This volume revisits McGee’s most influential installations in art spaces, and considers the evolution of his aesthetic within institutional settings. Previously unseen photographs by Craig Costello document the artist’s work on the streets of San Francisco in the early 90s, highlighting the contributions of his friends and mentors. Also included are images from the artist’s famous slide lecture, compiled and refined over the past 20 years, and an oral history of the Bay Area’s Mission School by McGee’s friends, mentors and collaborators. Featuring 450 images, including many never before published, the book is designed by the artist in collaboration with Conny Purtill. Barry McGee (born 1966) began exhibiting his work in the 1980s--not in a museum or gallery setting but on the streets of San Francisco. In the early 90s he was closely associated with the Mission School and the San Francisco Bay Area’s graffiti boom. In 2001 his work was included in the Venice Biennale. Hardcover, 6.75 x 9 in. / 448 pgs / 450 color / 15 bw. Since 2004, the French artist JR has traveled the world flyposting colossal black-and-white portraits of ordinary citizens on the walls of city buildings. His most recent project, The Wrinkles of the City, began in Cartagena, Spain, where he photographed the city’s oldest inhabitants, imagining their wrinkles as metaphors of urban texture and history. He has subsequently reprised the project in Shanghai, China and Los Angeles. In May 2012, JR collaborates with American artist José Parlá on the latest iteration of The Wrinkles of the City: a huge mural installation in Havana, undertaken for the Havana Biennale, for which JR and Parlá photographed and recorded 25 senior citizens who had lived through the Cuban revolution, creating portraits which Parlá, who is of Cuban descent, interlaced with palimpsestic calligraphic writings and paintings. 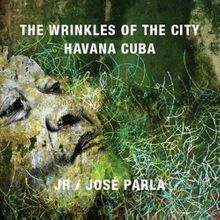 Parlá’s markings echo the distressed surfaces of the walls he inscribes, and offer commentary on the lives of Cuba’s elders; together, JR and Parlá’s murals marvelously animate a city whose walls are otherwise adorned only by images of its leaders. This volume features the portraits, short biographies of their subjects and photographs of their mural collaborations painted around Havana. A film documenting the project appears in 2013. Based in Paris, JR exhibits freely in public sites in the cities around world. His projects include Portraits of a Generation (2004–2006), Face2Face (2007) and Women Are Heroes (2008). In 2011 he was awarded the TED Prize. José Parlá studied painting at the Savannah College of Art and Design in Georgia, and the New World School of the arts in Miami, and lives and works in Brooklyn, new York. a recent project is a special commission for the Brooklyn Academy of Music. His most recent monograph is Walls, Diaries and Paintings (Hatje Cantz, 2011). Hardcover, 11.75 x 11.75 in. / 160 pgs / illustrated throughout. Skin Fruit: Selections from the Dakis Joannou Collection accompanies the first exhibition in the United States of the Athens-based Dakis Joannou Collection, renowned as one of the leading collections of contemporary art in the world. This is also the first exhibition curated by artist Jeff Koons, whose work inspired Joannou to start his collection in 1985. Koons has selected sculptures, works on paper, paintings, installations and videos by a group of artists that includes Janine Antoni, Matthew Barney, Maurizio Cattelan, Nathalie Djurberg, Robert Gober, Mike Kelley, Terence Koh, Mark Manders, Paul McCarthy, Tim Noble and Sue Webster, Kiki Smith, Christiana Soulou, Jannis Varelas, Kara Walker and Andro Wekua, among others. This catalogue contains more than 100 full-color illustrations of works from Joannou's collection, and features Koons in conversation with Lisa Phillips; an essay by Massimiliano Gioni; full spreads from such classic (and rare) publications as Post Human; and an anthology of previously commissioned essays for Joannou's DESTE Foundation publications by Nicolas Bourriaud, Jeffrey Deitch, Peter Halley, Nancy Spector and Lynne Tillman. Paperback, 8.5 x 11.5 in. / 208 pgs / 120 color. Jeffrey Deitch, curator of the groundbreaking Deste Foundation exhibition Fractured Figure, describes the concept thus: "If every period in art can be characterized by an approach to figuration that reflects the prevailing sense of the human condition, Fractured Figure represents a sense of cultural dysphoria, a state of dissatisfaction and anxiety, the opposite of euphoria. 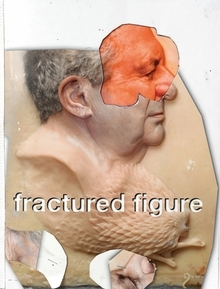 The new figural form is ruptured and deteriorating. It is fragile, just like real people... A search for truth, after years of being derided as an anachronistic and misguided pursuit in a world where there is no absolute truth, might actually be coming back to art. This truth is a different kind of truth, however. It is fragmented, complicated and multi-sided, not absolute... 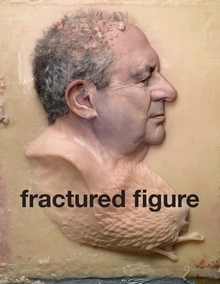 The Fractured Figure bears artistic witness to a fractured world and calls for a renewed embrace of humanity." This second volume is a compendium of the first edition of Fractured Figure, put together by Urs Fischer and Cassandra MacLeod. While the first volume was more of an artist's walkthrough, this new volume is a more traditional look at the works in the exhibition, which included such contemporary luminaries as Pawel Althamer, assume vivid astro focus, John Bock, Maurizio Cattelan, Paul Chan, Nathalie Djurberg, Barnaby Furnas, Robert Gober, Martin Kippenberger, Terence Koh, Jeff Koons, Nate Lowman, Paul McCarthy, Wangechi Mutu, Cady Noland, Tino Sehgal, Dana Schutz and Andro Wekua. Paperback, 11.5 x 14.75 in. / 216 pgs / illustrated throughout. A culture's body image, as refracted through its art, will usually provide a more telling account of its preoccupations than the most explicit political art; it seems that cultural symptoms leak more readily into depictions of the body than into more overt statements. This is especially true in periods of heightened alienation, when the solitary figure gains poignancy, but bodies register their eras in many ways: the signifiers of opulence, imperialism, fashion, social decay, sexual convention and anxiety can all be readily inscribed onto the human form in art--and indeed, always have been. Fractured Figure projects our millennial moment as one of fragile bodies pitched against a restless, dysphasic backdrop, in which terrorism and global warming impinge as daily realities. It draws on the world-renowned contemporary collection of Dakis Joannou, who, in collaboration with Jeffrey Deitch, has previously organized shows such as Artificial Nature and Post Human, in which similar concerns have arisen. Here, in works by Chris Ofili, David Altmejd, Richard Prince, Urs Fischer, Pawel Althamer, Ashley Bickerton, Barnaby Furnas and others, the figure is shown as un-idealized and compellingly mortal--situated in a realm that we will immediately recognize as our own. Paperback, 11.5 x 14.75 in. / 216 pgs. / illustrated throughout. Text by Jeffrey Deitch, Dean Sobel, Mariuccia Casadio. Brad Kahlhamer fuses exuberant Expressionist painting with the visionary tradition of Native American art, resulting in what the critic Michael Cohen describes as "a new narrative of how the West was won that allows the original inhabitants to live to tell the tale." Kahlhamer draws in part from visual sources in the country western and Native American rock-music scenes, and his landscapes swirl with an atavistic energy; they seem to have a sound that accompanies their visual rhythm. Their unruly cast of characters, dead and alive, from the artist's life and from his imagination, are visited by the great American bald eagle, who sweeps though the frame as the artist's surrogate. 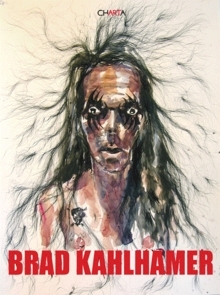 Kahlhamer's immersion into his personal American landscape finds him mixing representations of the real into what he calls a visionary "third place," counted out from the "first place" of his Native American heritage, and the "second place" of his more conventional American upbringing with his adoptive parents. This, his own personal third America, gleefully mingles the real and the imaginary. This volume is the first complete survey of Kahlhamer's work to date, covering more than 10 years of material. Paperback, 9.5 x 11 in. / 184 pgs / 179 color/ 5 bw. 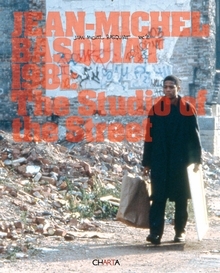 In 1981 Jean-Michel Basquiat made the momentous transition from the street to the studio. He had attracted considerable attention with his Times Square Show the summer before, and reinforced that nascent notoriety with a wall of phenomenal works in Diego Cortez's New York/New Wave at P.S. 1, which opened the following winter. A few months later, the dealer Annina Nosei offered Basquiat an independent space in which to prepare work for her September group show, Public Address. He was only 20. Between the world of spray-painted poetry and what critic Peter Schjeldahl called "New York big-painting aesthetics" lies a fantastic coming-of-age: Jean-Michel Basquiat: 1981: The Studio of the Street includes paintings and drawings on everything from note cards to sheet metal to a leather jacket and conventional canvas. In them, as throughout his career, Basquiat married an exuberant spontaneity and art-brut sensibility with a firm command of not only art materials but art history. He would go on to define the 80s Neo-Expressionist idiom, and to remain its most compelling representative. The Studio of the Street examines this charged point of contact in works that show the artist's progression from text to text-and-image, from found materials to traditional canvasses, and from pure drawing to his uniquely evocative hybrid of drawing and painting. Hardcover, 9.5 x 12 in. / 248 pgs / 146 color / 14 bw. Live Through This brings together more than 30 of the most exciting art, music and fashion personalities who are changing art making in New York. 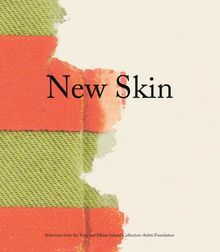 New art practice is now intimately tied to the lived experience of the artists themselves, and this book, through more than three hundred color photographs of artists, artworks, studios, off-duty behaviors, zines, concerts, openings and parties, illustrates and examines the nature of this relationship. Thoughtful criticism is provided by five essays: Larry Rinder writes about the groundbreaking nature of Fort Thunder and Providence scene, Jeffrey Deitch offers an historical and personal look at New York's underground, musician Philip Guichard describes the past five years of music in the city, digital artist Cory Arcangel talks about collectives and new media, while Kathy Grayson provides a behind-the-scenes thesis. Major attention is paid to artists working in New York City, but also in Providence and San Francisco. The list includes several major names in art, fashion and music, but some decidedly underground ones, thus emphasizing community affiliations and working collaborations. This is a most authentic look at what New York's art scene truly is, organized and produced by the members themsleves through extensive collaboration. Paperback, 11.5 x 11.5 in. / 96 pgs / 200 color. The greatest cultural accomplishments in history have never been the result of the brainstorms of marketing men, corporate focus groups, or any homogenized methods; they have always happened organically. More often than not, these manifestations have been the result of a few like-minded people coming together to create something new and original for no other purpose than a common love of doing it. In the 1990s, a loose-knit group of American artists and creators, many just out of their teens, began their careers in just such a way. Influenced by the popular underground youth subcultures of the day, such as skateboarding, graffiti, street fashion, and independent music, artists like Shepard Fairey, Mark Gonzales, Spike Jonze, Margaret Kilgallen, Mike Mills, Barry McGee, Phil Frost, Chris Johanson, Harmony Korine, and Ed Templeton began to create art that reflected the lifestyles they led. Many had no formal training and almost no conception of the inner workings of the art world. They learned their crafts through practice, trial and error, and good old-fashioned innovation. Not since the Beat Generation have we seen a group of creative individuals with such a unified aesthetic sense and varied cultural facets. The world of art has been greatly affected by their accomplishments as have the worlds of fashion, music, literature, film, and, ironically, athletics. Over the years, the group has matured, and many have become more establishment-oriented; but no matter, their independent spirit has remained steadfast. 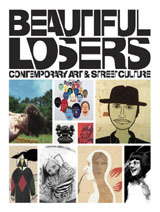 Beautiful Losers is a retrospective celebration of this spirit, with hundreds of artworks by over two dozen artists, from precursors like Jean-Michel Basquiat, Keith Haring, and Larry Clark, to more recent adherents Ryan McGinniss, KAWS, and Geoff McFetridge. Work in all conceivable mediums is included, plus reproductions of reams of ephemera. The accompanying essays are contributed by a half-dozen writers who have championed these beautiful losers from the start. Hardcover, 8.5 x 11 in. / 272 pgs / 200 color / 200 bw. Greek collector Dakis Joannou is one of the preeminent collectors of contemporary art in the world, with a collection that stands as a virtual who's who of artists from the 1980s through today. 85 of those artists are represented in Monument to Now--the most utterly relevant to today, of course. Leading curators from New York, Milan and Paris have contributed essays and helped to select the included artists. Designed by acclaimed graphic artist Stefan Sagmeister, the hardcover edition features a three-dimensional monument affixed to the front cover; the paperback retains some trace of the monument, perhaps a footprint of the monument on the front cover, a pop-up monument inside, or some other invention. The follow-up to Everything That's Interesting Is New, an earlier book on the Joannou collection, Monument to Now strictly includes work dating from 1985 and later, with a focus on the artists who are most relevant now. Among many new acquisitions featured here for the first time are works by Vanessa Beecroft, Maurizio Cattelan, Gregory Crewdson, Anna Gaskell, Mariko Mori, Chris Ofili, Tom Sachs, Fred Tomaselli and Kara Walker. Other included artists are Janine Antoni, Matthew Barney, Ashley Bickerton, Rineke Dijkstra, Olafur Eliasson, Robert Gober, Andreas Gursky, Peter Halley, Mike Kelley, Toba Khedoori, Jeff Koons, Paul McCarthy, Takashi Murakami, Shirin Neshat, Tim Noble & Sue Webster, Cady Noland, Gabriel Orozco, Charles Ray, Cindy Sherman, Kiki Smith, Wolfgang Tillmans, Gillian Wearing, Christopher Wool and Chen Zhen. Hardcover, 9.75 x 12.25 in. / 448 pgs / 300 color. Greek collector Dakis Joannou is one of the preeminent collectors of contemporary art in the world, with a collection that stands as a virtual who's who of artists from the 1980s through today. 85 of those artists are represented in Monument to Now--the most utterly relevant to today, of course. Leading curators from New York, Milan and Paris have contributed essays and selected the included artists. Designed by acclaimed graphic artist Stefan Sagmeister, the hardcover edition features a three-dimensional monument affixed to the front cover; the paperback retains some trace of the monument, perhaps a footprint of the monument on the front cover, a pop-up monument inside, or some other invention. The follow-up to Everything That's Interesting Is New, an earlier book on the Joannou collection, Monument to Now strictly includes work dating from 1985 and later, with a focus on the artists who are most relevant now. Among many new acquisitions featured are works by Vanessa Beecroft, Maurizio Cattelan, Gregory Crewdson, Anna Gaskell, Mariko Mori, Chris Ofili, Tom Sachs, Fred Tomaselli and Kara Walker. Other included artists are Janine Antoni, Matthew Barney, Ashley Bickerton, Rineke Dijkstra, Olafur Eliasson, Robert Gober, Andreas Gursky, Peter Halley, Mike Kelley, Toba Khedoori, Jeff Koons, Paul McCarthy, Takashi Murakami, Shirin Neshat, Tim Noble & Sue Webster, Cady Noland, Gabriel Orozco, Charles Ray, Cindy Sherman, Kiki Smith, Wolfgang Tillmans, Gillian Wearing, Christopher Wool and Chen Zhen. Paperback, 9.75 x 12.25 in. / 448 pgs / 300 color. During the last five years of his life, Chen Zhen expended his energies to create a body of work that poetically articulated his knowledge of traditional Chinese culture and Western avant-garde art. Born in Shanghai in 1955, Chen grew up during the tumultuous years of the Cultural Revolution. When China transitioned out of that era, he became interested in combining traditional Chinese philosophy (forbidden under Maoist rule) and Western practices as an alternative to the government's official cultural ideology. The resulting body of work held as a central theme the creation of harmony through difference, taking the human body, illness and medicine as metaphors, mixing cross-cultural social dynamics before multiculturalism and globalization had ever been articulated. 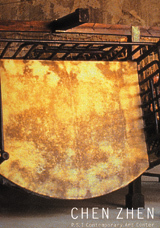 Exploring the intricate and often paradoxical relationship between the material and the spiritual, the community and the individual, interior and exterior, Chen used sound and everyday materials such as candles, beds, chairs, and even chamber pots, linking the physical world to the spiritual, ritualistic one. The result was an aesthetic immersed in the traditional past but aligned with the present. This catalogue accompanies an exhibition held at P.S.1 Contemporary Art Center in tribute to the artist, who died from a rare medical condition known as autoimmune hemolytic anemia in 2000, in Paris, where he had emigrated as an art student in the mid-80s. As elements of our life move closer to art, and as art moves directly into life, the differences between the artificial and real are becoming progressively blurred. 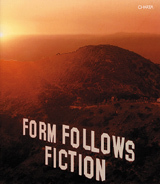 Form Follows Fiction focuses on a generation of artists who can no longer follow the modernist dictum "form follows function"; as our model of reality becomes more layered and less concrete, that decree morphs inevitably into "form follows fiction." Some of these artists create structures that intersect with everyday life, while others construct elaborate fictional systems that fuse elements of reality and fantasy. Some fashion elaborate invented worlds where past, present, and future are collapsed into one and where art historical icons and the debris of contemporary pop culture have equal relevance. All have developed new models of contemporary reality that are as fictional as they are real. Form Follows Fiction was conceived as a sequel to the 1992 exhibition Post Human, also curated by Jeffrey Deitch, which explored a new model of the human condition, pushing deep into the confusion between the artificial and the real. Paperback, 9.5 x 11 in. / 252 pgs / 143 color / 5 bw. Introduction by Ida Gianelli. 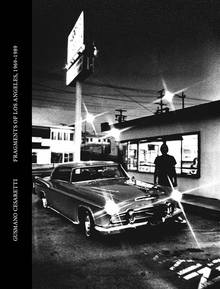 Essays by Jeffrey Deitch, Mauro Ferraresi, Giorgio Verzotti. Perhaps the most important artist in the history of Italian graphic design, Armando Testa has explored the most diverse languages of visual communication for over a half-century, inventing new ways of expressing ideas and designing enormously innovative works for television. 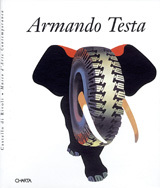 Armando Testa documents Testa's activity from the beginning of his career to his last works, collecting many of his most important pieces: advertising posters, sketches, book illustrations and covers from the 40s and 50s; photographic work for advertising from the 70s; posters and trademarks created for social causes and cultural events during the 80s; and work done outside of the field of advertising and publicity, for Testa's own creative purposes, from the 80s right up to his death. This attractive and exciting new monograph also includes a detailed biography and bibliography as well as an "imography": a catalogue, with commentary, of every one of Testa's amazing images. Paperback, 9.5 x 11 in. / 208 pgs / 200 color / 35 bw. Published by Cantz/DESTE Foundation for Contemporary Art. 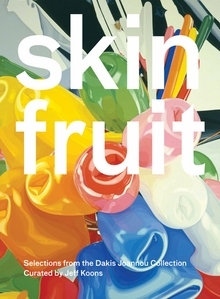 Here, Jeffrey Deitch, author of Artificial Nature, draws on both contemporary art and the mass media to explore the profound philosophical implications of genetic engineering, plastic surgery and other forms of body alteration. By juxtaposing the figurative art of Robert Gober, Jeff Koons, Charles Ray and 30 other young artists with images drawn from cutting-edge technologies and consumer culture, Deitch gives us a sobering glimpse of the post-human world to come. Are we creating a new kind of “person” that will replace the previous construction of self? And when the self goes, what will remain?